Our campaigns to improve the protection of the important loggerhead* nesting beaches in Patara (launched in 1988) and to halt severe degradation in Fethiye (launched in 2009), both listed as protected areas under the Barcelona Convention, continued in 2018. We visited and assessed the conservation status of the sites and submitted our findings to the Bern Convention. Thanks to MEDASSET’s efforts, the Bern Convention asked the Turkish to implement a set of conservation measures in 2015. Sadly, there has been no significant improvement in the conservation and management of the sites and the Bern Convention Recommendations have yet to be implemented by Turkey. 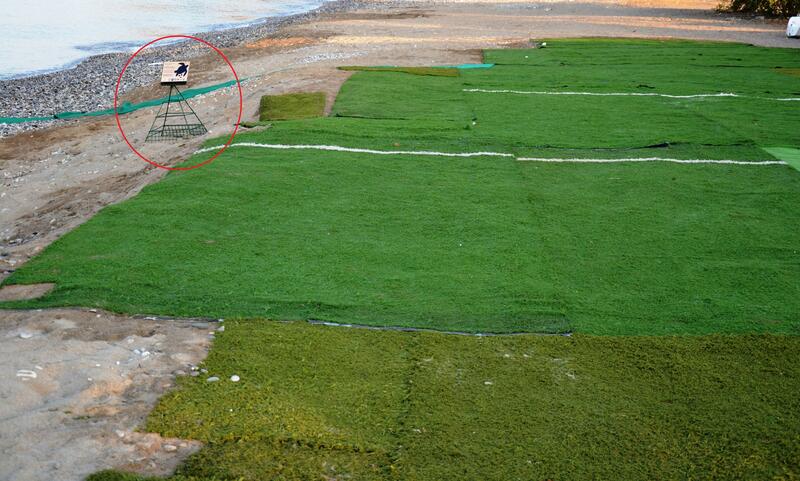 In Fethiye, the conservation status of the nesting beaches ha further deteriorated. For yet another year, we documented several disturbances to sea turtles, nests and hatchlings: more beach furniture, carpets and fixed structures on the nesting zone that were not removed at night on most beach sections, litter, sand extraction, planting of trees and bushes on the sand, lack of vehicle access control, severe light pollution, camping and human presence on the nesting beaches at night. In addition to these pressures, damage and reduction of the available nesting habitat continues, as businesses continue to encroach onto the nesting zone with more fixed structures and expand in the marine area by installing two new jetties, as a result of poorly-managed coastal development. In Patara, there was no significant improvement and conservation problems remain: no local management staff and insufficient nest monitoring personnel, lack of zoning and of information signs along the largest part of the 12 km beach, severe vehicle access problems, camping, litter, abandoned facilities, etc. 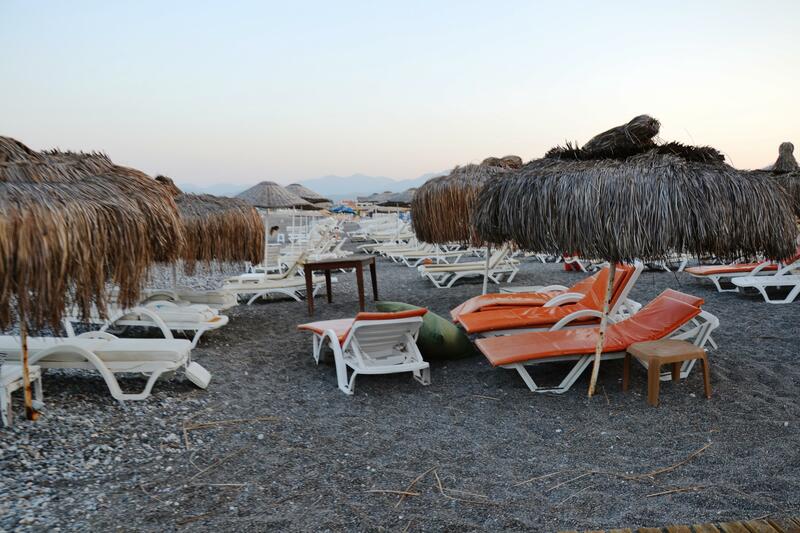 There are no signs of new efforts or conservation activities, with the exception of sunbed stacking at night, the removal of derelict toilets and showers. Behind the beach and inside Patara’s unique archaeological area, the holiday home construction project continues: in addition to the 27 houses that were inhabited in 2015, a total of 255 buildings in different stages of construction are being developed. 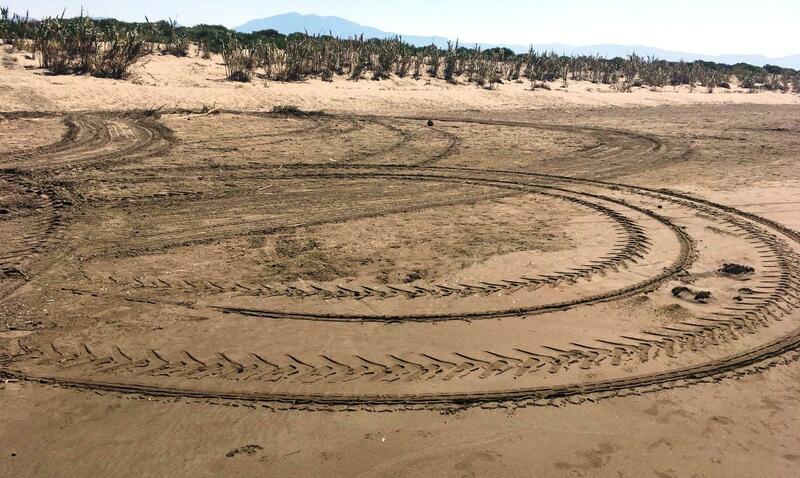 Through our campaign we are urging authorities to adequately protect the habitat from human disturbances, which are expected to increase many fold due to the much higher number of residents and visitors on the nesting beach. *Sporadic green turtle (C.mydas) nesting has been recorded at both sites. Fethiye SPA. A nest (note cage in top left corner) was laid next to carpets that have covered the entire nesting zone. Fethiye SPA. Nest (note cage) is laid among dense rows of sunbeds that are not collected at night. Fethiye SPA. 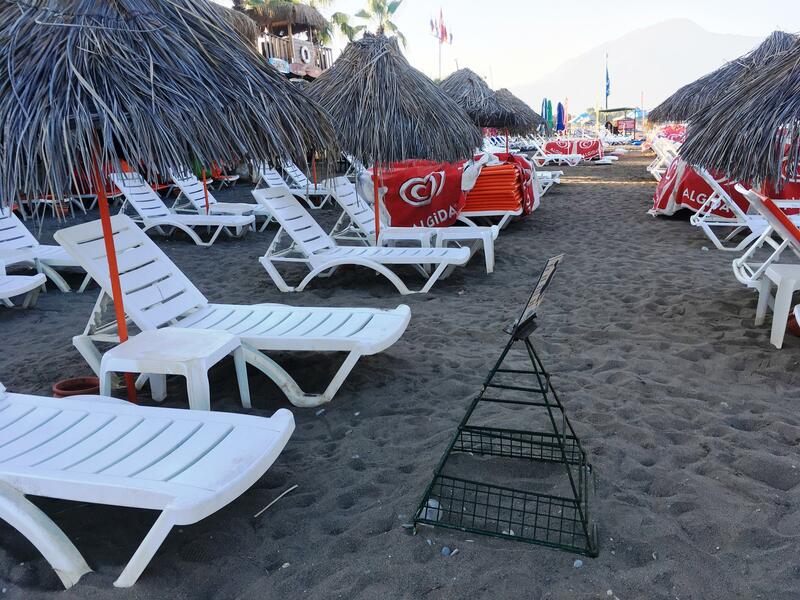 Businesses place dense rows of sunbeds on the nesting beach that are not collected at night. Patara SPA. Partial view of the huge construction project inside the archaeological protected area, about 1.5 km from the nesting beach.